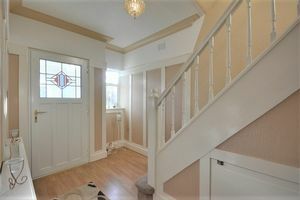 with door to entrance hall. 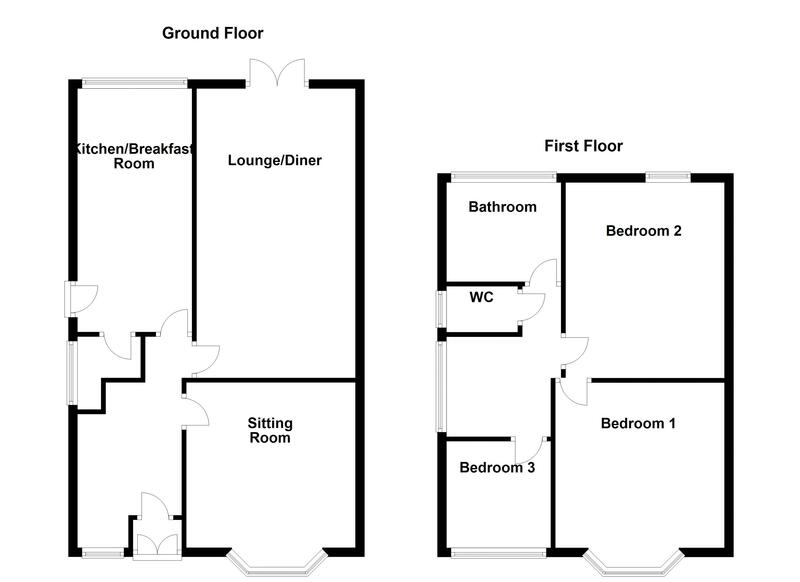 With window to front, stairs to first floor, radiator to side, doors to sitting room,lounge/diner and kitchen. 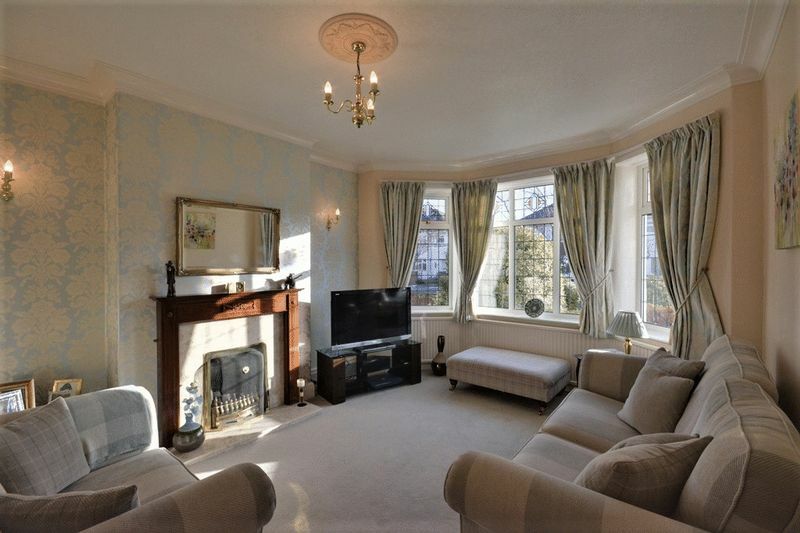 Sitting room with fitted carpet, bay window to front, radiator and feature fireplace to side with marble and wooden surround. 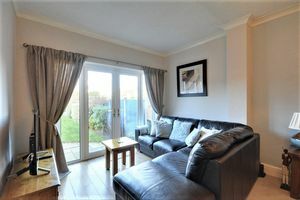 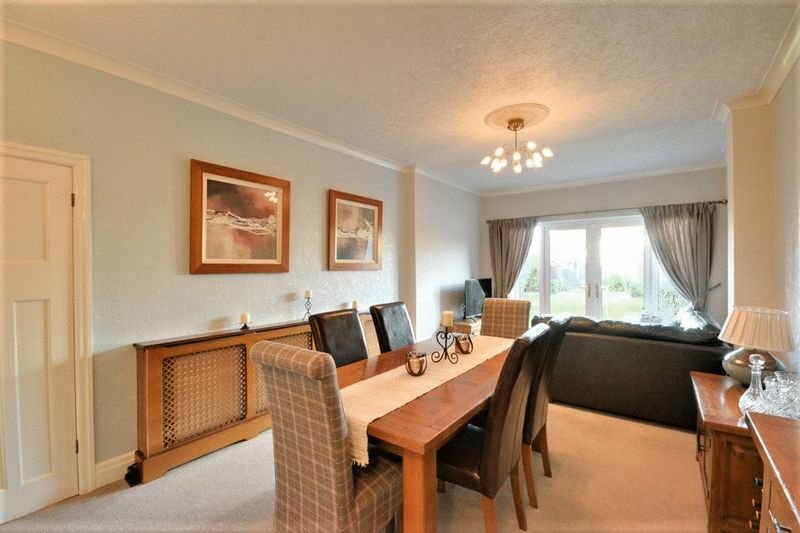 Lounge/diner with fitted carpet, radiator to side, double doors onto garden. 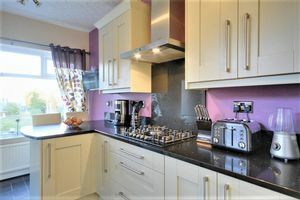 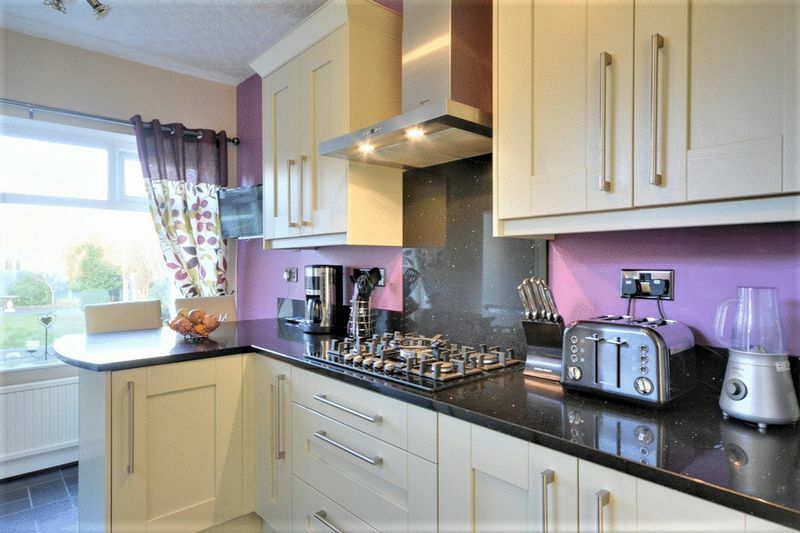 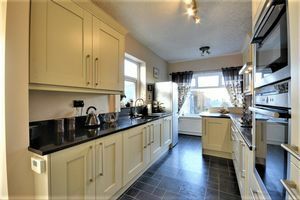 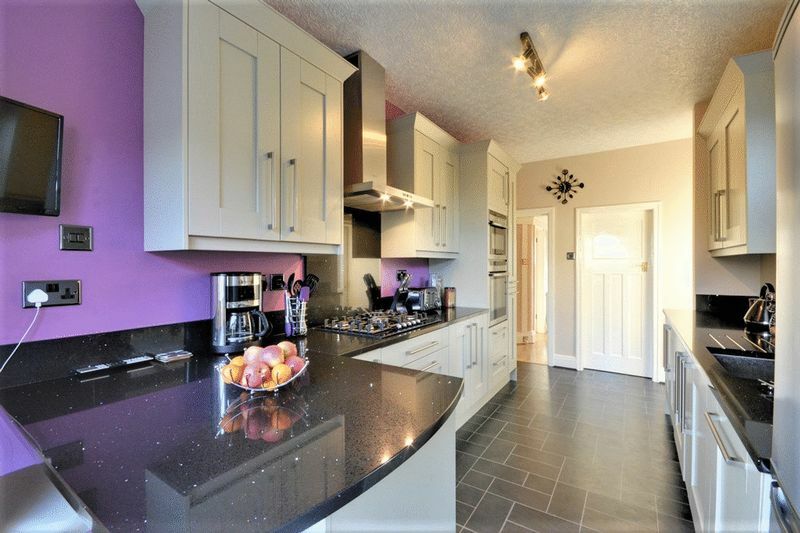 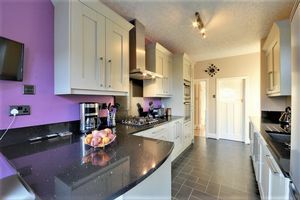 Modern fitted kitchen with windows to rear and side, doors to garden and pantry, matching range of base and eye level units with breakfast bar, integrated double oven, mixer sink, four ring gas hob, extractor hood and dishwasher. 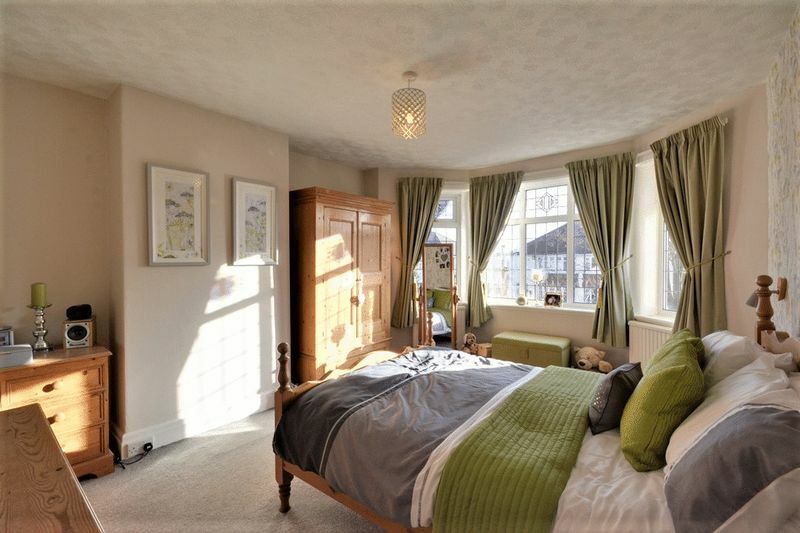 Double bedroom with bay window to front, radiators to front, fitted carpet. 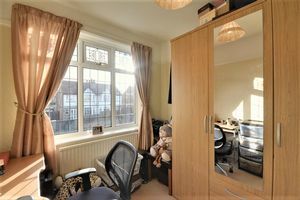 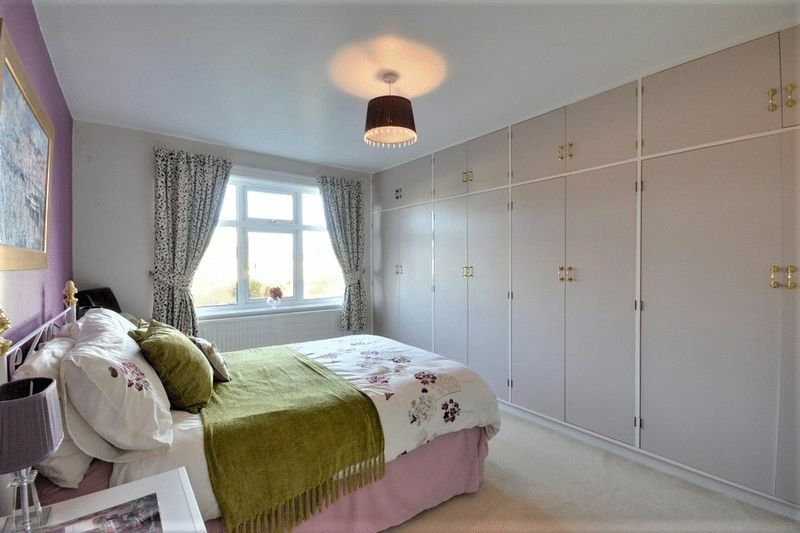 Double bedroom with window to rear, radiator, fitted carpet, fitted wardrobes to side. 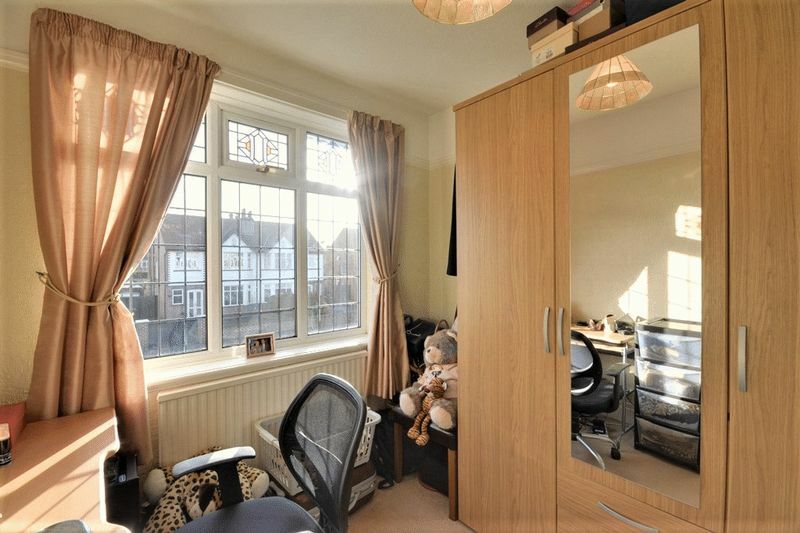 Bedroom with window to front, radiator to front, fitted carpet. 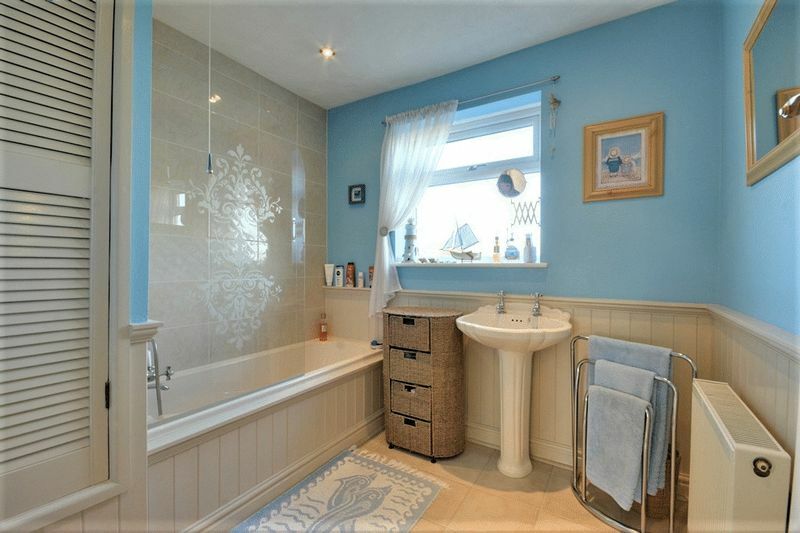 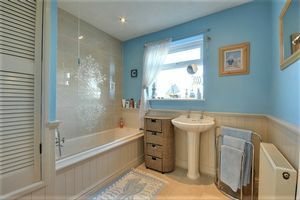 Bathroom with window torear, partially tiled walls, radiator to side, and two piece suite comprising bath with shower fitting and wash hand basin. 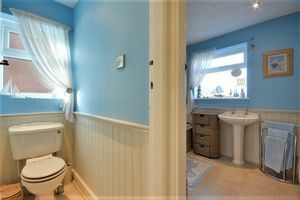 Seperate WC with window to side. Paved off road parking to front. 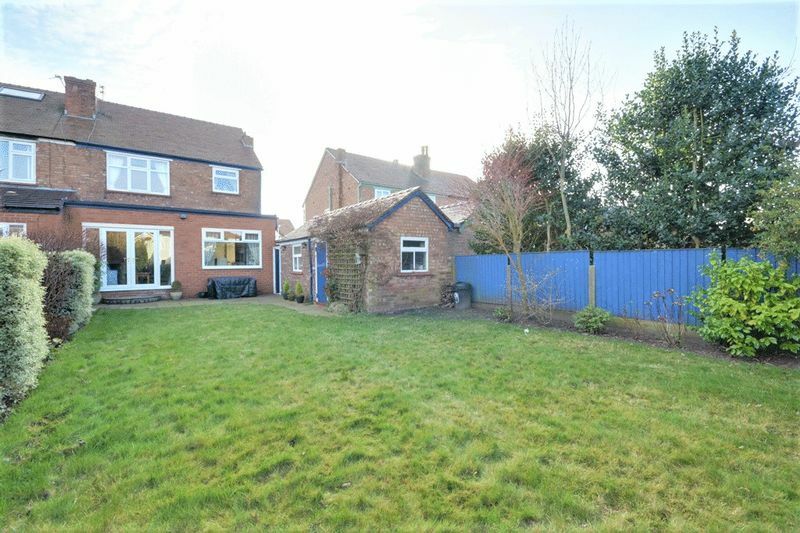 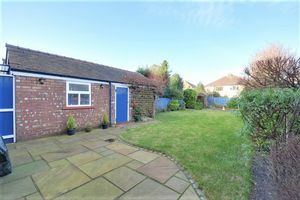 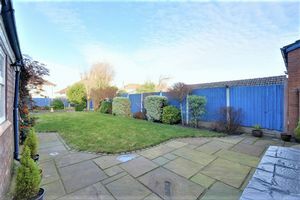 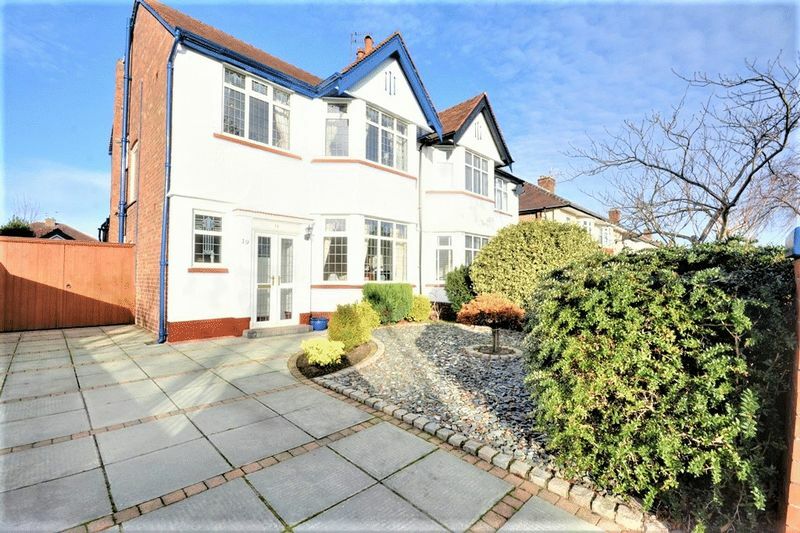 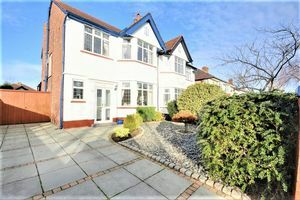 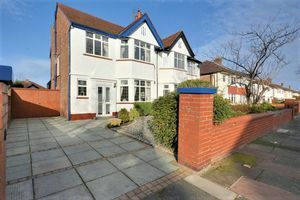 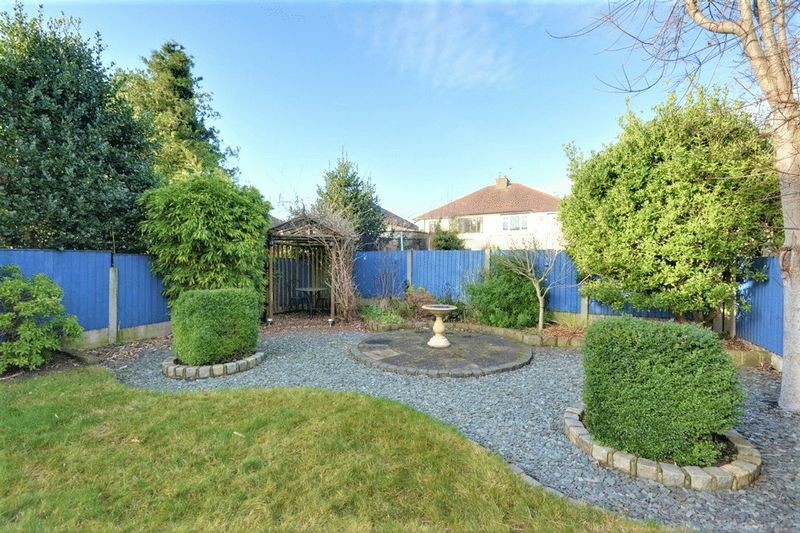 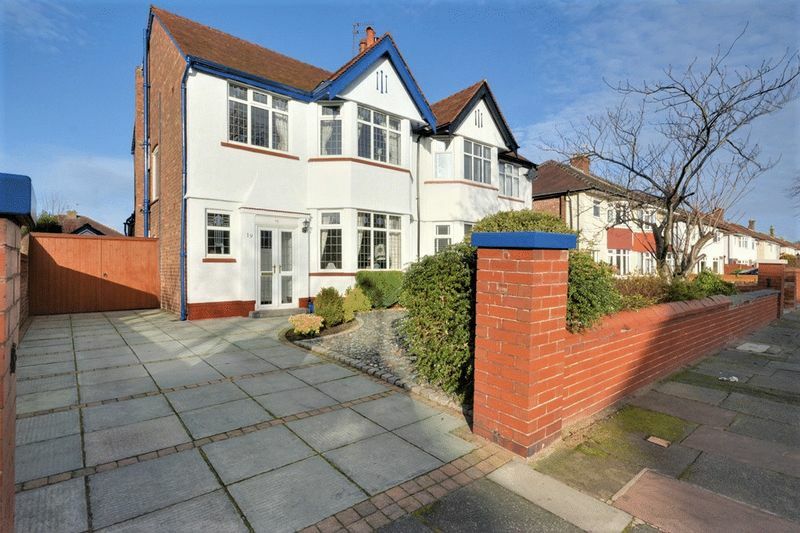 Detached garage to rear, landscaped garden with paved patio area and lawned garden with decorative borders featuring a range of established trees plants and shrubbery.